Having a projector is beneficial for both home and office use. The quality of the picture is excellent if you compare it to the LCD. It also provides a clear viewing area for your audience. Most universities and schools nowadays use projects for reports and most offices also use projectors for their presentations. Epson is best known for their quality computer parts and accessories. Allow us to introduce the Epson VS250 SVGA HDMI 3LCD projector. It provides a clearer and brighter colors, regardless if your room is well lit. With 3,200 lumens of equal intensity and white brightness, you never have to deal with dull colors again. Its SVGA resolution (800 x 600) is suitable for your everyday presentations at school and at work. The projected distance is 30inch-350 inch. This projector is compatible with both PC and Macbooks. Also, it has F-number of 1.44, the focal length of 16.7 mm, zoom ratio: digital zoom 1.0-1.35 and pixel number: 480,000 dots. Setting up the projector is a breeze. Thanks to its professional and straightforward buttons, you gain full control of the device. Its impressive color accuracy has 3x higher color brightness compared to conventional projectors and up to 3x more full-color gamut for optimal use and convenience. 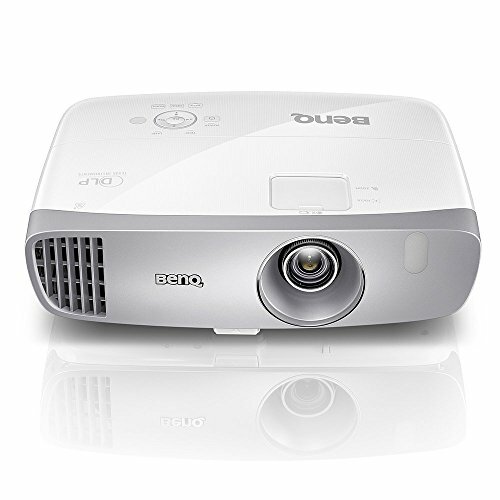 Next, we have the BenQ HT2050A 1080P DLP home theater projector. With its high resolution 3d 1080P Projector with ANSI brightness of 2,200 lumens, 15,000:1 contrast, and premium RGBRGB color wheel, you can now enjoy movie theaters at the comfort of your own home. Its ISFCCC certified calibration allows you to enjoy day and night viewing. It also has low input lag: only 16m for excellent gaming experience and 2D keystone for side projection. This projector has a shorter throw—its installation just a breeze. It has a 60-inch-180-inch screen and features 1.3 zooms with vertical lens shift. It has a throw ratio of 1.15-1.5. Thanks to its innovative SmartEco technology, you can save money in the long run due to its energy conservation features. It has an auto standby mode that can help in suppressing your electrical bill and it has a prolonged lamp life that can last up to 7,000 hours. Buyers can enjoy up to three-year warranty upon purchasing the product. 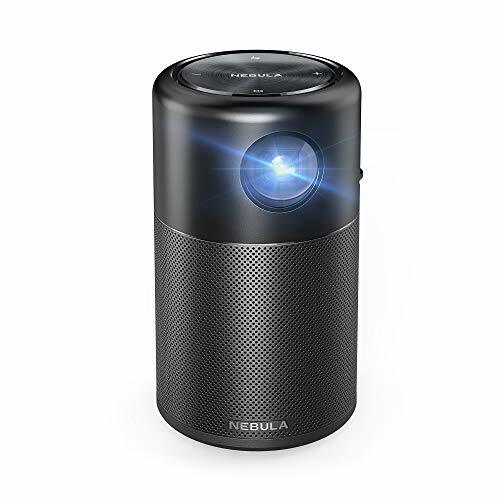 The Anker Nebula Capsule Smart Mini Projector is suitable for those who are looking for portable projectors. Thanks to its DLP’s advanced IntelliBright algorithm, it can provide improved clarity and contrast with 100 ANSI lumens. The vibrant pictures can stretch up to 100 inches big. 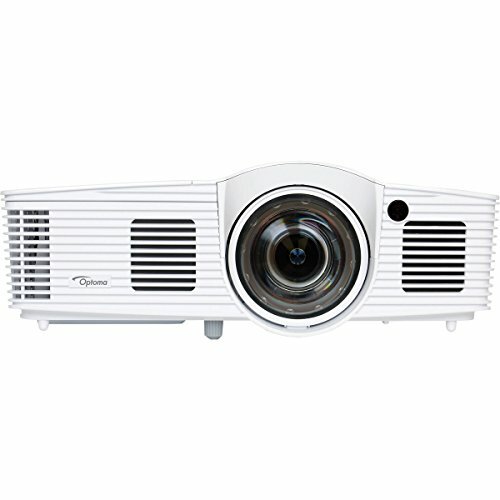 This projector is most suitable to use in dimmer surroundings. It also has an integrated 360-degree omnidirectional speaker that will emit sound to fill the room. Thanks to its seamless aluminum and lightweight body, you can carry this projector anywhere you want. You can download its application and stream on Netflix, YouTube, and other movie sites for hours of entertainment. Its professional and easy-to-use features can be easily understood even by someone who is not a fan of sophisticated technologies. Installation is quick and easy since it’s portable and ready to go. The InFocus corporation DLP projector will transform your home into your movie theater with its full HD (1920 x 1080) resolution and 3200 lumens for vivid and brighter colors. It utilizes HD Spatial Technology that provides rich color details. Its throw ration is 1.15-1.5 and up to 10,000 amp hours. This projector has no scaling or image resizing-native 1920-1080 resolution matches monitors, notebooks, and large format LCD panels. Thanks to its BrilliantColor technology helps in producing brilliant colors for your movies. Installation of the product is quick and hassle-free. This projector is designed to perform with HDMI input with high brightness, contrast, and excellent picture quality for optimal use. We also have the Optoma lumens 3D DLP short throw gaming projector. If you are looking for a projector that can take your gaming experience to the next level. Thanks to its next-generation DarbeeVision processor will enhance the texture and depth of gaming graphics. It has .49 throw ratio, ideal for gamers and homeowners who love to watch movies in the comfort of their own home. It also features an enhanced gaming mode, enabling the best in class performance at 16ms. It’s compatible with all types of game consoles, blue-ray players, set-top boxes, and HDMI devices. Its full HD 1080p and 3000 lumens ratio will allow you to enjoy fantastic gaming visuals. The 28,000:1 contrast ratio can generate impressive black levels in FPS and Survival Horror games. 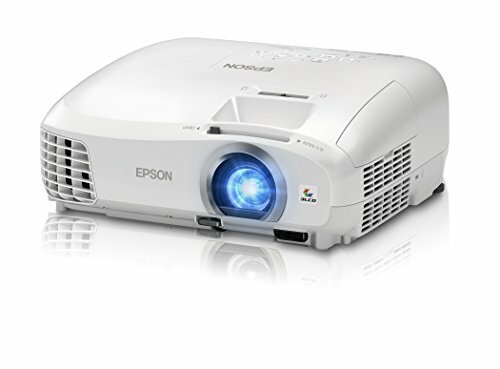 Another product from Epson, we also have the home cinema 1060 full HD 1080p 3,100 lumens color LCD projector. It has a widescreen full HD 1080p entertainment up to 300-inch life-sized images and can reach up to 25x larger compared to a 60-inch flat panel. If you have a well-lit room, this projector is suitable for you. It has 3,100 lumens of color that allow you to see the images even in a well-lit room. You can also use this device in a variety of methods for optimal use. The remarkable color accuracy of this projector can reach up to 3x higher color brightness and up to 3x more full-color gamut compared to other DLP projectors. It utilizes innovative 3LCD technology that can generate excellent action scenes. You don’t need to deal with rainbow effects from now on. This projector is compatible with both PC and Mac. The Optoma ML750 WXGA 700 Lumen 3D ready portable DLP LED projector with MHL is lightweight and compact. This powerful device can last for hours of entertainment and generates crisp and bright colors. It has an integrated office view for PC free presentations. The images have deep saturation, and this projector is bursting with vivid colors. You can connect this projector to your mobile devices and present directly through its HDMI/MHL connectivity. Its wireless presentation capability via optional adapter and its one-watt audio speaker will help you to enjoy more movies at your home. 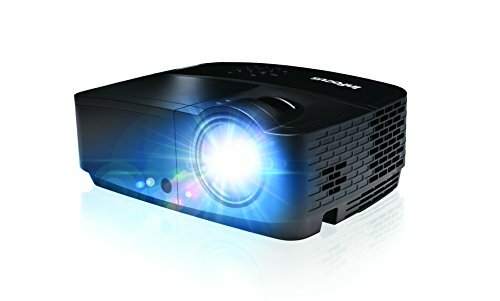 This projector has a dominant LED light source that means you need not to replace lamps anymore. For its brightness, the 700 lumens (LED) throw ratio is 1.5:1. 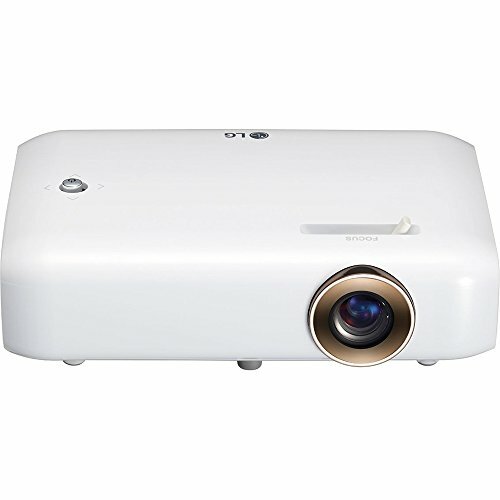 We also have the LG electronics PH550 mini beam projector with Bluetooth sound. This project features HD resolution (1280 x 720) and a hassle-free wireless connection. You can connect the projector to your IOS or Android phones. It has an integrated battery that can last for up to 2.5 hours and up to 550 lumens for optimal comfort. This 2016 model has up to 30,000 hours of lamp life and Bluetooth sound out that will allow you to stream wirelessly from the PH550 projector. Its mirroring function can transform your home into your movie theater anytime you want. It can even open office documents on USB drives. 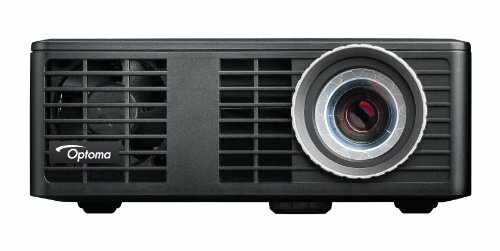 The Optoma HD27e 1080p 3400 Lumens 3D DLP home theater projector offers bright 3,400 lumens and 25,000:1 contrast ratio. This projector has reference display mode that will allow you to enable the accurate REC.709 color. It has a full HD 1080p resolution for brighter and brighter image quality. The wonderful 12,000-hour lamp life can help you to save on energy bills in the long run. Furthermore, it has BrilliantColor dazzles with vibrant color for outstanding picture quality. Now you can enjoy theater entertainment or take your gaming experience to the next level. It comes with remote control. When setting up the projector, you don’t need to be an expert to get it done. Its professional and easy to understand features will make setting up a breeze. Lastly, we have the Epson Home Cinema 20140 1080p 3LCD home theater projector. Its screen size range is 90 inches from 8 feet; 134 inches from 12 feet. The 2200 lumens offers an impressive white and color brightness. The contrast ratio of the product is 35,000:1. It has keystone correction. The lamp life can reach up to 7,500 hours in EDO mode and up to 4000 hours for normal mode. Thanks to its seamless connection, you can use the projector in any of your devices. It has low fan noise for you to enjoy your game or movie properly. Buyers can enjoy up to two-year limited warranty upon purchasing the product.